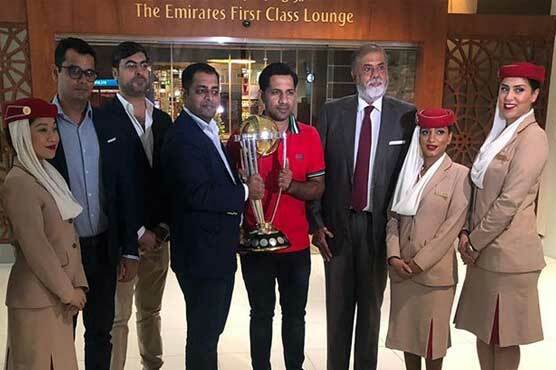 ISLAMABAD,APR 11 (DNA) -– The International Cricket Council (ICC) 2019 World Cup trophy arrived in Pakistan on Thursday on its global tour, and will visit three cities on its journey here. Pakistan skipper Sarfraz Ahmed brought the trophy to Islamabad, which will then travel to Lahore and Karachi on April 13 and 14 respectively. 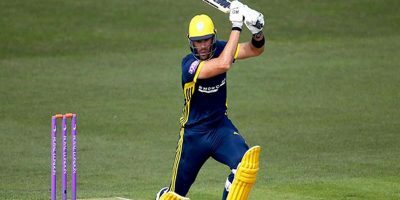 The trophy will be displayed at Islamabad’s Centaurus Mall on Friday, at the Packages Mall in Lahore (Saturday) and at the Dolmen Mall Clifton in Karachi (Sunday). The main ceremony will be held in Karachi where a concert, food festival and fireworks have been arranged. 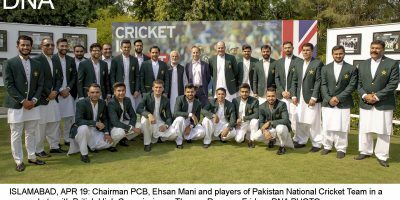 Talking to media in Islamabad, Sarfraz Ahmed said his team will try to bring back the trophy to Pakistan after winning the 2019 World Cup – scheduled from May 30 to July 14 in England and Wales.